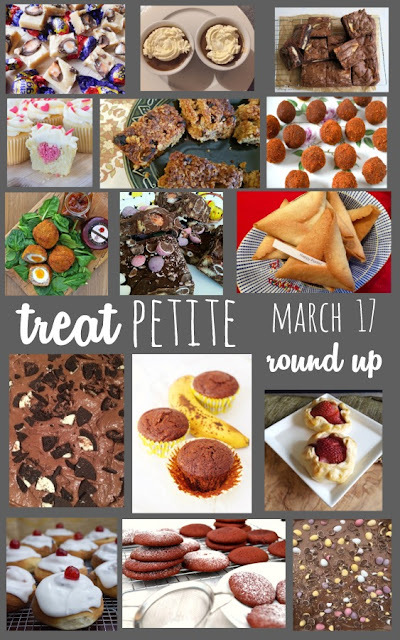 Thanks to everyone who took the time to enter this month's Treat Petite. Without further ado, here are this months delicious recipes to inspire us all - with some early Easter additions too. 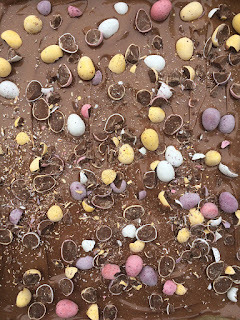 First we had Chonnie at Baked to Imperfection with her mini egg millionaire's shortbread. Which looks down right delicious! 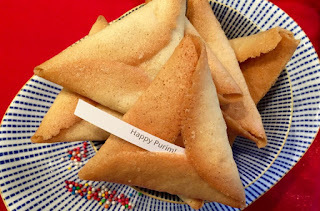 Next Helen at Family Friends Food made fortune cookie hamantaschen - like fortune cookies but tastier! 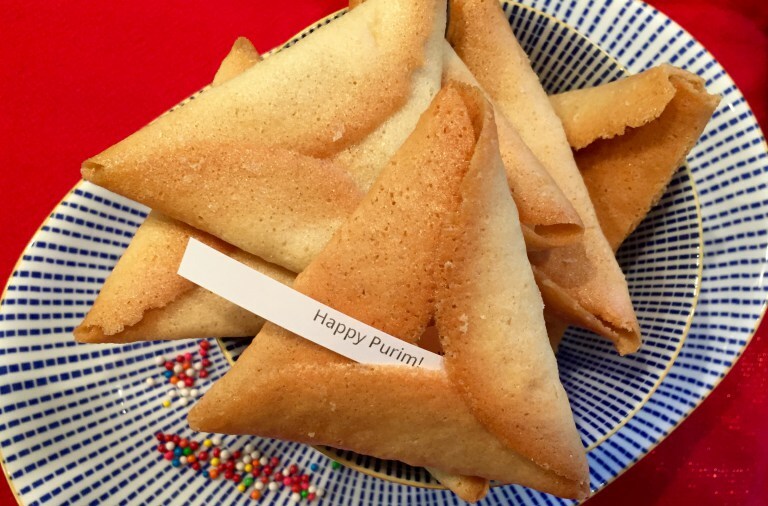 Made for Purim these look great. 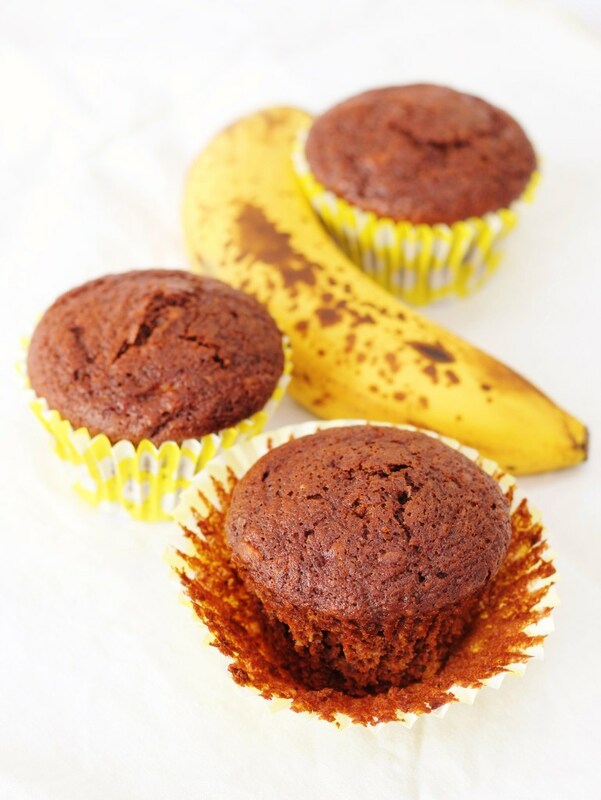 Corina at Searching for Spice whipped up some chocolate and banana cupcakes with a hidden surprise - a creme egg. Yes please!! 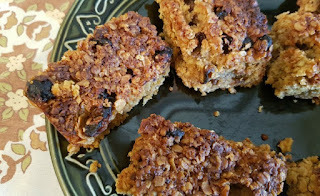 The Good Egg Foodie used some leftover to knock up a batch of Lemon Raisin Flapjacks. 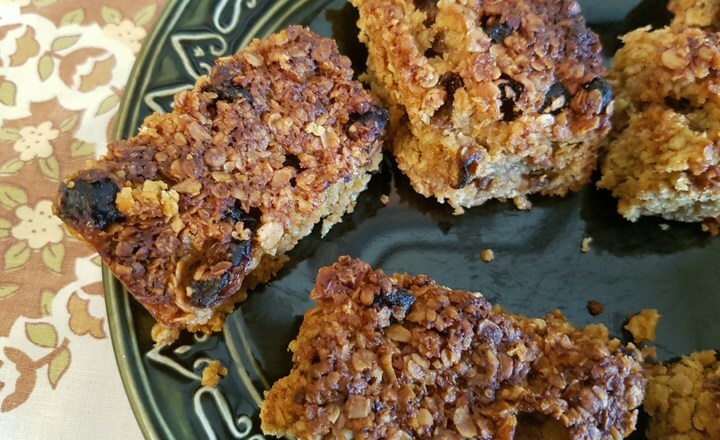 Never thought of using lemon in flapjacks but it does sound good. 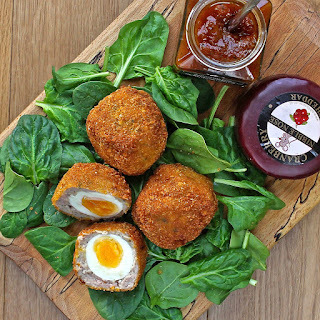 A savoury treat from Kate the Gluten-Free Alchemist who made these Scotch Eggs which are also dairy and nut free. No matter what they are free from, I want one! Caroline at Caroline Makes used her slow cooker to make these ever so indulgent looking butterscotch puddings. 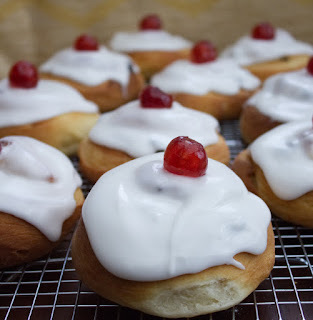 Sarah at Tales from the Kitchen Shed made homemade belgian buns. The icing on top looks so tempting to me I just want to bite right in! My Treat Petite co-host Kat, The Baking Explorer made Bailey's cheesecake brownies. 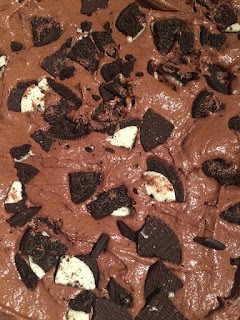 Adding booze to brownies is ingenious! 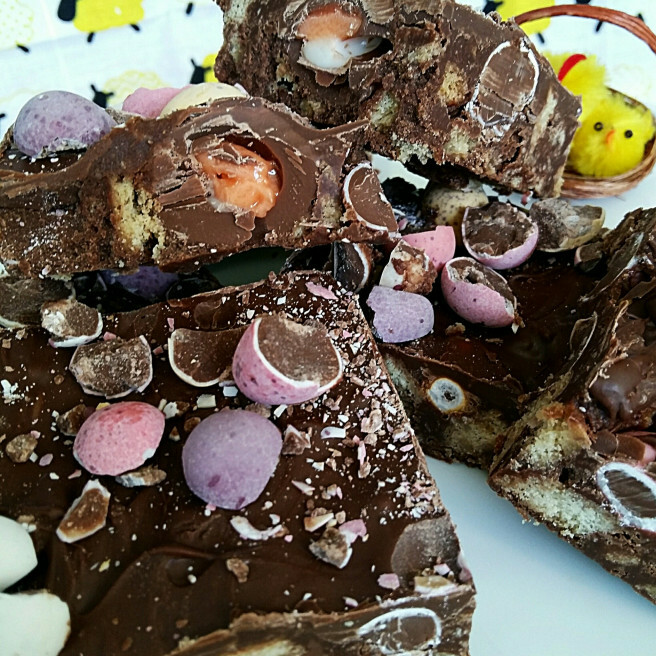 Claire, The Foodie Quine, made Scottish Tablet and added creme eggs to it for a fab Easter twist on an already delicious treat. I must give this a try! Chonnie at Baked to Imperfection also made Oreo Brownies and linked these into Treat Petite. I love brownies and oreos so yes please on both counts. My own entry next, some (brick) red velvet cookies made for Red Nose Day. 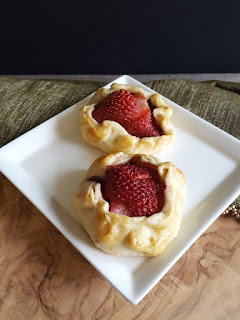 These were soft and cake like in texture and perfect for a Red Nose Day bake sale. Ali at Fix Me a Little Lunch made mini strawberry chocolate galettes which was inspired by a book 'Dinner with Edward' by Isabel Vincent. 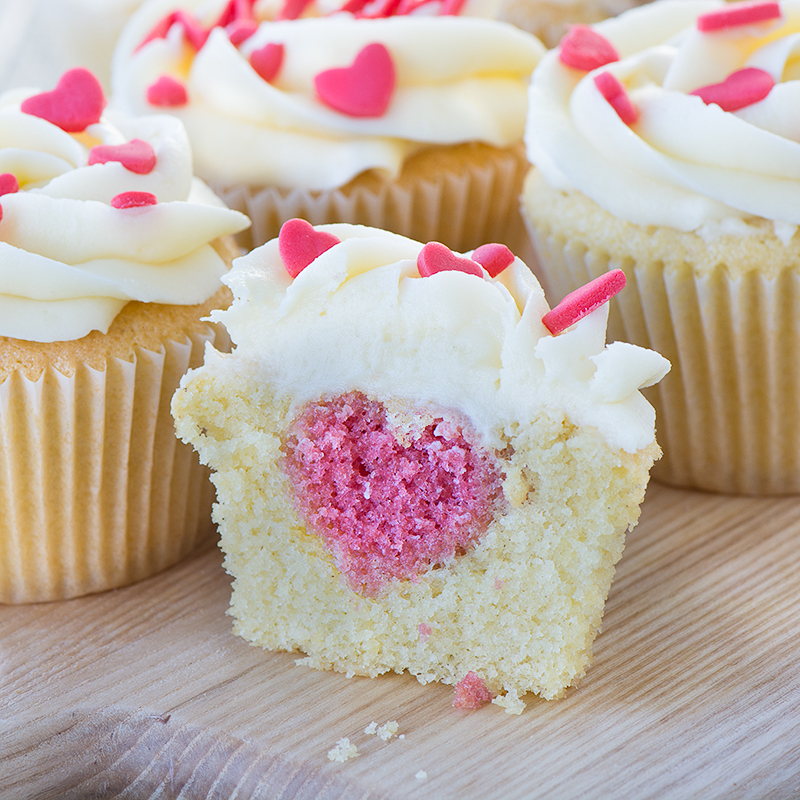 Charlotte, in her Lively Kitchen, made super cute hidden heart cupcakes. I loved seeing how the hearts got in there - so clever! Choclette at Tin and Thyme made goji berry bliss balls which were whipped up in her super blender. 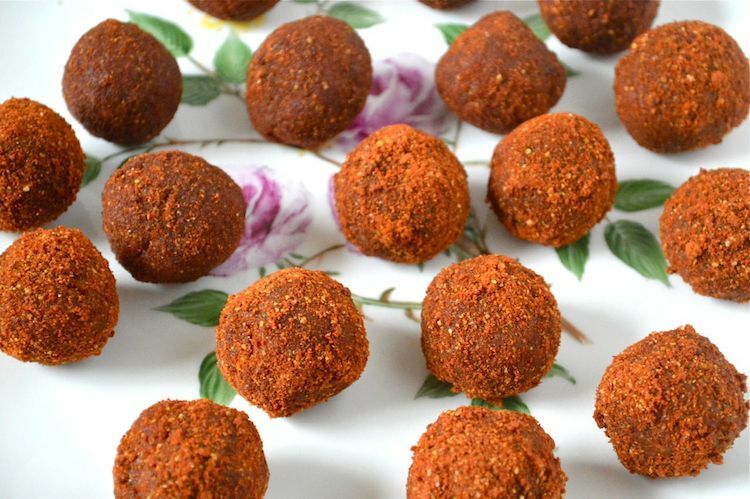 They look healthy and scrummy. Lastly Nicola and Something Sweet Something Savoury made No Bake Chocolate Easter Fridge Cake. 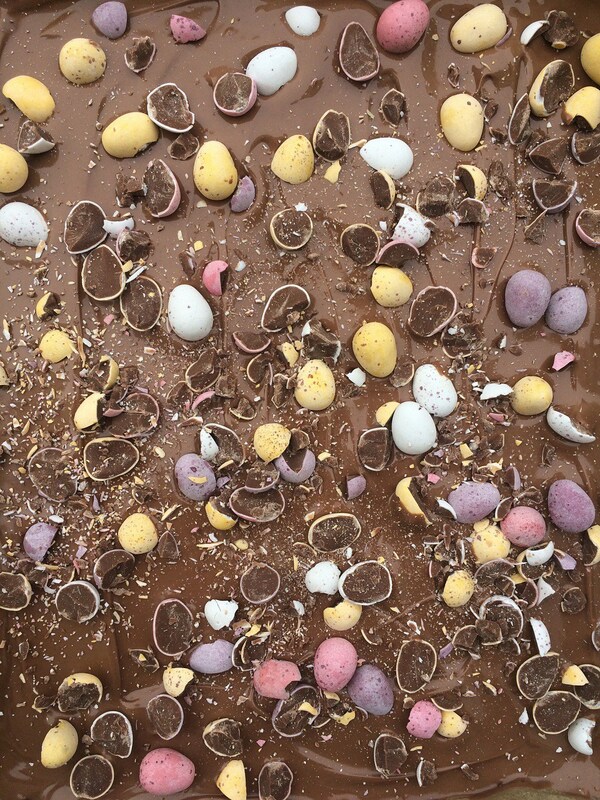 This is loads of chocolate and biscuits and syrup, mini eggs, creme eggs - you name it! 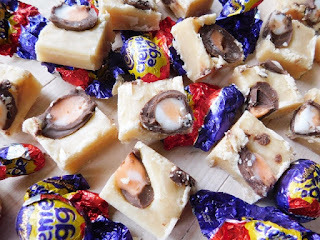 Great for an Easter buffet! Thanks to everyone again and visit Kat, the Baking Explorer for next month's Treat Petite. Wow some amazing entries this month! Thank you to everyone for joining in! Lovely round up! I'm definitely tempted by the Bailey's brownies! Fab round up Stuart...... those Belgian Buns made me feel quite nostalgic! I really shouldn't be looking at this round up, because it always makes me feel hungry. Now I just want to dash down to the kitchen and make something. Only trouble is - which one to choose?